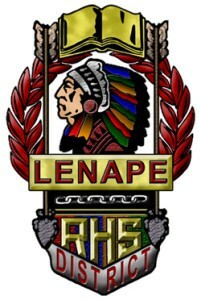 The 2014–2015 school year marked the maiden voyage of the new standardized test the Lenape Regional High School District will now be using instead of the High School Proficiency Assessment — the Partnership for Assessment of Readiness for College and Career test. The state Department of Education adopted PARCC assessments for students in grades three through 11. Statewide, high school students in grades nine through 11 took English language arts assessments and mathematics assessments in Algebra I, Geometry and Algebra II. Students at all four LRHSD schools took the PARCC assessments. The tests were administered in March and May. Superintendent Carol Birnbohm said the district’s staff provided quiet, gentle encouragement for all students to take the test. However, the district did not single out students for refusing the test, as it will not be a graduation requirement for students in high school until 2019. A large initial concern of parents in the district had to do with what would happen to these kids who decided against taking the test. Their message was heard and the district did not enforce a “sit and stare” policy. The kids who decided not to take the test were encouraged to read during the test taking period. While the results of the PARCC testing were revealed to the public at last week’s LRHSD Board of Education meeting, student participation results were not provided by the state Department of Education and there was no analysis on how participation rates could impact school and district performance. However, the Department of Education shared some information last spring, inferring the largest percent of students who did not participate in the PARCC in New Jersey were high school students, with the greatest number of test refusals occurring in 11th grade. LRHSD students in grades nine, 10 and 11 exceeded or equaled statewide percentages of students scoring Level 4 or better and average overall scores for all English language arts assessments. District-wide math results varied by subject. LRHSD Algebra II results exceeded the state average percent of students scoring Level 4 or better while LRHSD Algebra I and Geometry results were below the state average percent of students scoring Level 4 or better. Justin Smith, the district’s assessment, accountability and planning coordinator, noted approximately 33,000 New Jersey students took the PARCC Algebra I and/or Geometry assessment in middle school. Those advanced students’ scores do not factor into LRHSD’s outcomes. PARCC establishes a specific emphasis on measuring college and career readiness. Due to the drastic difference and increased difficulty in PARCC testing, the board is encouraging folks to avoid comparing these results with the HSPA and past standardized tests. Birnbohm said Common Core and PARCC’s increased difficulty is not different from changes the state has made in standardized testing in the past. “We have a history of increasing rigor in our standards,” she said. Birnbohm described PARCC as an opportunity for students to perfect their skills. She noted other tests such as the SAT are being aligned to Common Core State Standards in 2016 and will feature questions similar to PARCC. “This is another chance for them to practice and show their proficiency,” Birnbohm said. LRHSD is now actively engaged in reviewing and analyzing the first year PARCC data and preparing for the 2016 and future PARCC assessments, with an emphasis on student success. “Our data team is working with the administrative teams in each of the schools to ensure they understand and communicate about PARCC in general and put the results in context,” Birnbohm said. “Teachers will be able to utilize our new common planning time, built into the new four day rotating schedule, to analyze PARCC data, our curriculum and our pacing guides.